Pen ink is the ink used for general writing purposes. The most commonly known types today are the long used blue-black ink as well as the pigment-based carbon black ink and water-soluble dye colored ink, both of which were developed to overcome the shortfalls of the blue-black ink. Due to oxidation of the chemical ingredients, blue-black ink produces a dark blue color and this is where it gets its name. It was first used in Europe from the 10th to the 12th century and it is said that its manufacturing method was established by around the 19th century. Durability is the main characteristic of the blue-black ink. It continues to be widely used in general writing purposes as it has excellent fixing properties on paper. However, it has occasionally been known to cause nibs to corrode or deteriorate due to oxidization of the paper on which it was used. Black ink, on the other hand, has excellent resistance to light and water and is thus suited for long-term preservation of records. In this regard, the water-soluble dye colored ink may be less resistant to light and water but is available in a wide variety of colors. 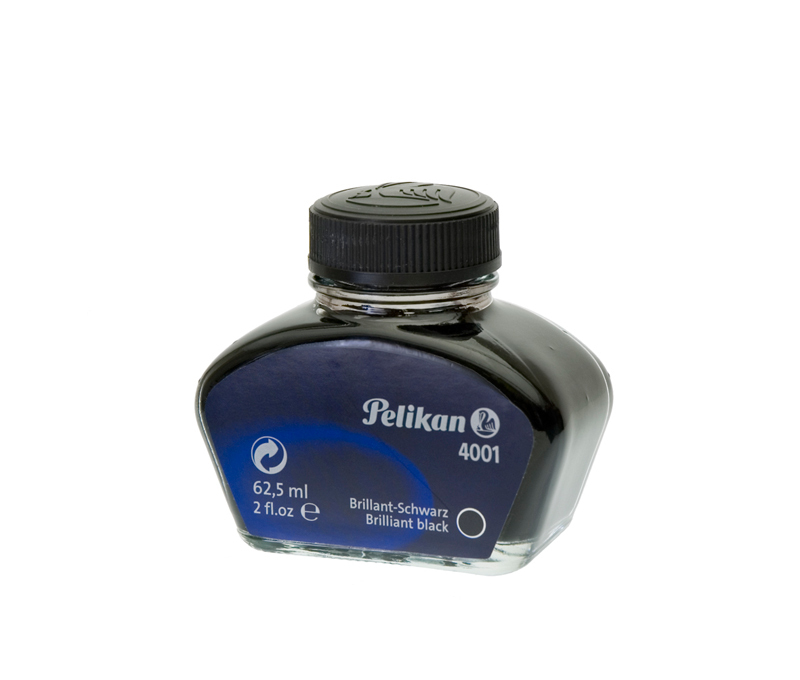 Pen ink is sold in ordinary bottles or in cartridges for fountain pens. Always remember to close the lid of an ink bottle tightly after use to prevent the ink from drying and solidifying. Suction refill type fountain pens, should be soaked in warm water to wash away the ink after removing the ink from the inside and then wiped dry, if they are not to be used for extended periods. Pen ink can be purchased at stationery and office supply stores, etc.